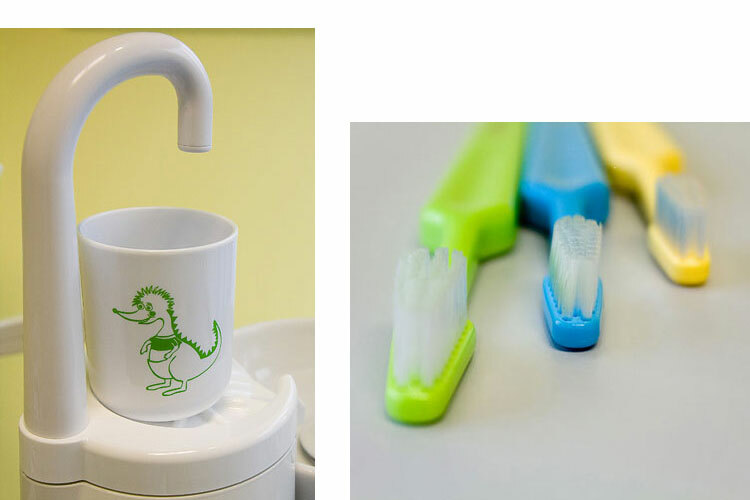 Toothbrush and cup in your kindergarten. There is a risk that your child’s teachers in the kindergarten may not attach a great importance to the tooth brushing schedule or to the cleanliness of your child’s cup. Are you concerned about that? Do you know what the tooth brushing routine is followed at your child’s kindergarten? Ask the teacher or the manager – and your child – for information. If you are still concerned, make sure that the child washes his/her hands and brushes the teeth after coming back home. Replace the kindergarten toothbrush at the same frequency as the one at home. Do you want to be sure that your child brushes his/her teeth correctly while in the kindergarten? Invite us to your kindergarten. We will come with Jerry to tell you everything about tooth brushing and oral care!